If there is one event where dressing to impress is a must, it is The Council of Fashion Designers of America Awards. There were no badly dressed celebs at this event, but there were a few who stood out from the rest. The awards were held on Monday June 3 2013 at the Alice Tully Hall, Lincoln Center. The show was generously funded by Swarovski, and can only be seen airing on Style.com starting June 4, 2013. The awards make sure to included and recognize every ounce of talent in the fashion world. Clinton was thrilled to present the award to her longtime friend, Oscar de la Renta. They were first introduced in 1993, at the Kennedy Center Honors. Clinton was also wearing an Oscar de la Renta gown on that occasion, and caught the designer’s eye. According to The Huffington Post, the two have worked together many times since their first meeting. 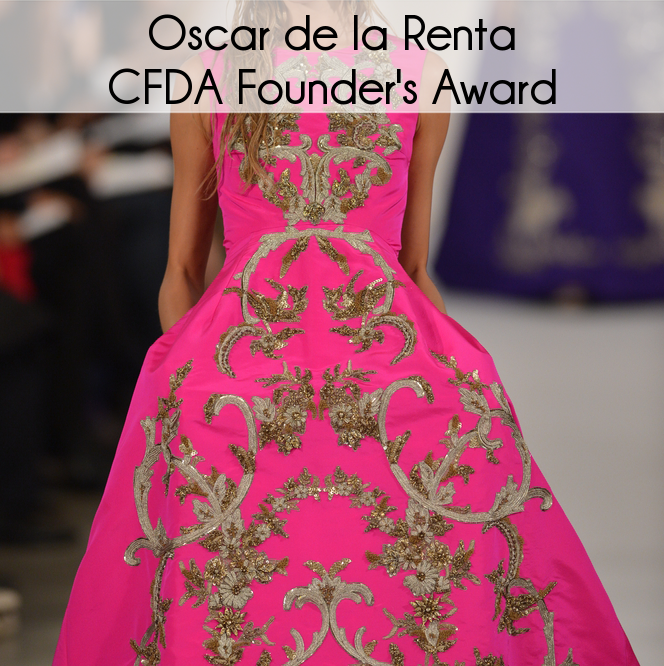 Oscar de la Renta designed Clinton’s 1997 gown for the inaugural ball, he helped design for her 1998 Vogue cover, they worked together for the 2002 CFDA awards, and in 2010 he even designed pieces for Chelsea Clinton’s wedding. At the award show, de la Renta even went so far as to call Clinton the next president of The United States of America, which was cheered on by the crowd.